French automaker, Renault, is all geared up to launch five new vehicles by mid of 2020. As per a local media outlet, all the vehicles will be assembled locally to strengthen the local auto industry and to help create the jobs in Pakistan. No details have been revealed by the company as to which vehicles it will be bringing for Pakistani consumers. The company has acquired a 54 acres land at M-3 Industrial City in Special Economic Zone Faisalabad. It is to be noted here that at first, the company was planning to establish the plant in Karachi, but, due to some problems with the authorities gave up the idea of setting up a plant in Sindh and moved to Punjab. The French automaker signed an agreement with Al-Futtaim to manufacture its cars in Pakistan last year, in November. 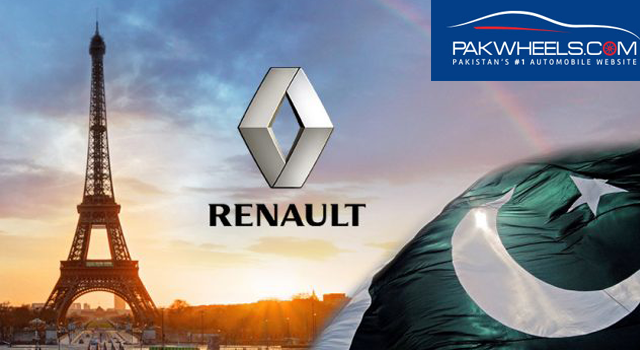 Al-Futtaim Renault Pakistan is investing the US $140 million in the domestic auto industry and is committed to shipping 50,000 units per annum. Read Also: 5 cars to expect from Renault in Pakistan! As of now, the design and the pre-engineering works are underway, and after completion, the manufacturing of the plant will begin. It is expected that work on the plant will start from Q4 of this year. The auto policy which the previous government introduced is proving useful for the industry as many new automakers have entered in Pakistan such as Kia, Hyundai, Changan, Renault, etc. Some of them have even their vehicles in the market like Kia has introduced its Grand Carnival while some will be launching in next few months. Aside from Renault collaborating with Al-Futtaim to introduce its vehicles in the country, Ghandhara Nissan has also signed importer agreement with Renault Trucks SAS to import heavy-duty trucks to Pakistan.